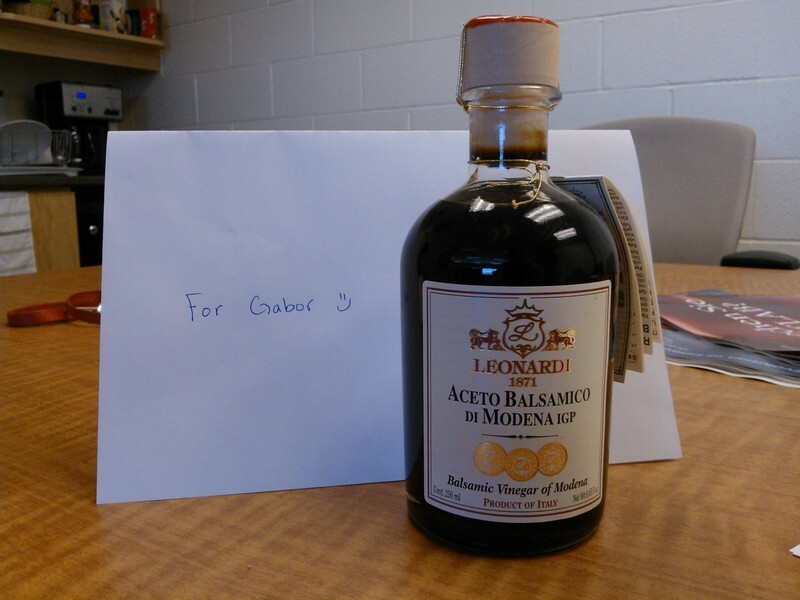 This bottle of fine Italian vinegar is a gift from an anonymous student to commemorate his/her sweet experience in the PerkLab. As a feeble attempt to curtail the number of students applying to the Perk Lab, we have commissioned a large banner to be hanged over the entrance of the Perk Lab. The banner will say "No Sugar Added". This vinegar bottle will hang on a string under the banner. Stay tuned for the photo of the composition.